More Ukrainians say they have a positive view of Russia than a year ago despite continuing conflicts between the two countries, according to a joint Russian-Ukrainian poll, while a majority of Russians say they continue to see Ukraine in a negative light. 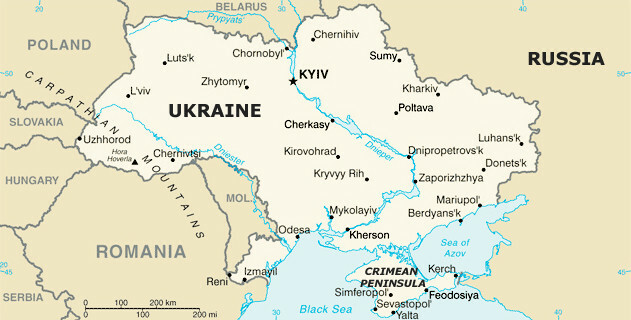 Russian-Ukrainian ties deteriorated after Moscow annexed the Crimean peninsula in 2014 and was accused of fomenting a separatist conflict in eastern Ukraine. The breakdown in relations led Ukraine to terminate a 1998 friendship treaty with Russia last month. Forty-eight percent of Ukrainians told the Kiev International Institute of Sociology (KIIS) that they hold a positive attitude toward Russia, according to survey results published on Wednesday, up from 37 percent last year. By contrast, only 32 percent of Ukrainian respondents said they hold negative views of Russia, down from 46 percent last year. “There’s a trend in Ukrainian public opinion toward increasing positive attitudes for the neighboring state since the end of 2017,” Levada said in its “Good Neighborliness Index” survey. KIIS reported that, for the first time since April 2014, a majority of Ukrainians thought they should share open borders with Russia. “Everyone understands that even 100-year wars eventually end,” the head of the Ukrainian Politics Institute, Konstantin Bondarenko, told Russia’s RBC news website. Meanwhile, only one-third of Russian respondents expressed positive attitudes towards Ukraine this year, the independent Levada Center reported, and a majority of Russians said they viewed Ukraine negatively (55 percent). According to Levada, more Russians said their country should merge with Ukraine into one state than they did in the years since the Crimean annexation and the conflict in eastern Ukraine. Levada conducted the survey among 1,600 respondents in 52 Russian regions between Sept. 20 and Sept. 26. KIIS carried out its survey among 2,026 Ukrainian respondents between Sept. 8 and Sept. 23.